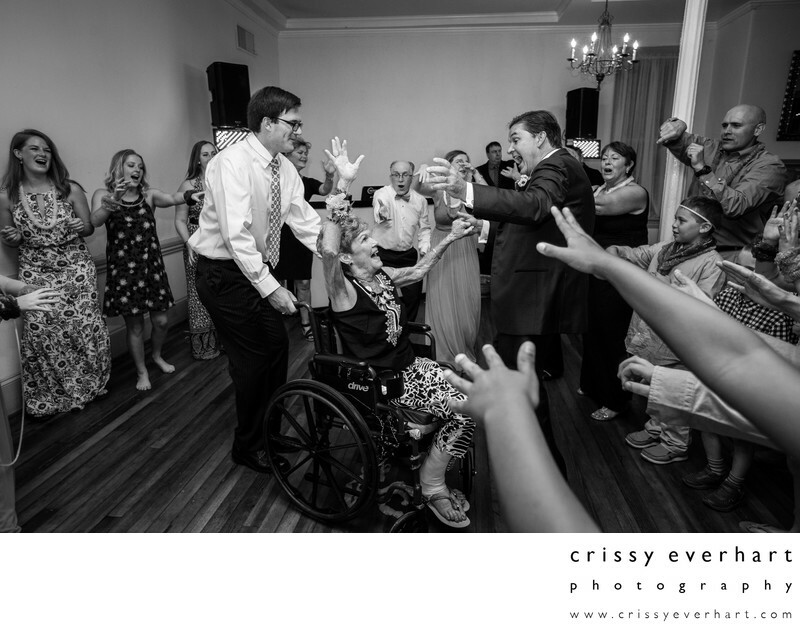 This mom was ecstatic when she was wheeled onto the dance floor at the end of the night. She danced with her son as her grandchildren, circled around her, cheered her on. What a great memory for the mother of the groom!